As we get older, our skin stem cell activity slows down. Our skin stem cells' regenerative ability normally should last a lifetime, but stress, poor diet and environmental factors such as UV rays and smoking can quicken the depletion of skin cells, reduce their regenerative ability, and cause DNA damage and oxidative stress. The result is accelerated skin aging and skin conditions such as pigmentation, dryness, wrinkles, less elastic, dull, irritated and easily damaged skin. In an amazing scientific breakthrough, Swiss scientists discovered a way to revitalize skin stem cells, and in that case, promote skin rejuvenation. These scientists managed to cultivate and harvest a novel stem cell extract, derived from a rare plant species. This stem cell extract is chockful in epigenetic factors and metabolites, and supply all the nutrients our skin stem cells require to protect, reproduce and grow new skin cells. With this we can get renewed and younger-looking skin. 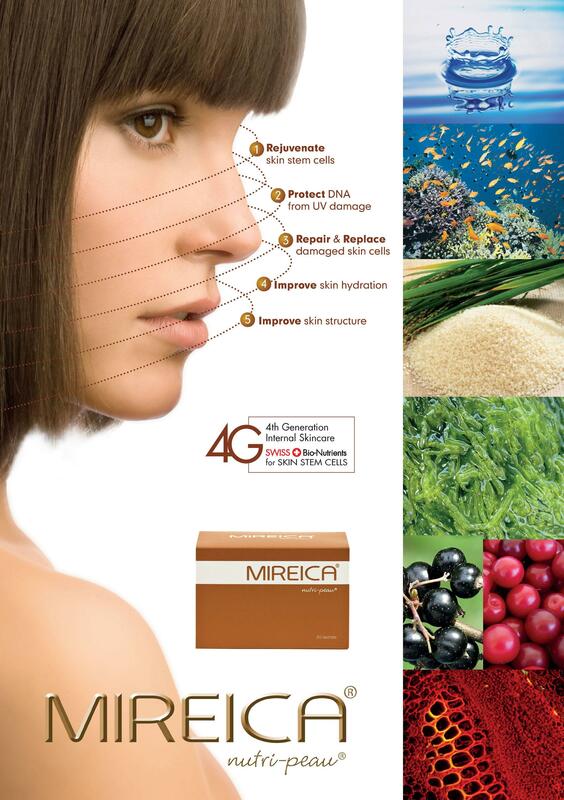 Mireica is developed by LiveLife Biosciences A.G., Switzerland, in collaboration with scientists from Japan, Europe and Switzerland. These scientists are leaders in their individual field of specialty within the interesting and exciting science of anti-aging. In house scientists have included some natural yet beneficial ingredients, such as: Acerola, Blackcurrant, Astaxanthin, Ceramides, Marine Collagen, Ceramides, Plant Stem Cells & many others. These natural ingredients ensures that Mireica is pretty multi-dimensional - amazing for both our skin and overall health too! There are NO artificial coloring added into Mireica and it’s the natural algae, Astaxanthin, that makes Mireica RED and the very same reason why salmon, shrimps and lobsters are red too. · Acerola Fruit which contains the highest natural source of vitamin C, and contains mineral salts and many other rich vitamins! In short, it supports the immune system, anti-aging, has natural anti-inflammatory properties, acts as an antiseptic and balances blood fat levels. · Blackcurrant which is rich in Vitamin C (antioxidant), other beneficial fatty acids. Improves blood circulation, boosting immunity, anti-aging, restores damaged, aging or dry skin. 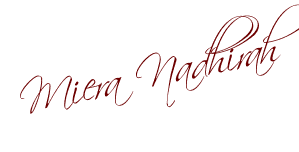 · Astaxanthin is a super nutrient. Studies have proven that it improves skin moisture level, causes wrinkle reduction, protects your cells, organs and body tissues from oxidative damage. Also used to treat many brain diseases and used for preventing cancer as astaxanthin exhibits VERY STRONG free radical scavenging activity. · Ceramides are natural lipids (fats) and a major component of skin structure and can be found on coating the skin of newborn human infants. These fats allow skin to retain moisture. Synthetic ceramides are used to replenish ceramides that are lost in the aging process and is a powerful way to protect skin, making it act and look younger. I drink my Mireica every morning just after I wake up. I pour a sachet of Mireica in to a half a glass of room temperature water. 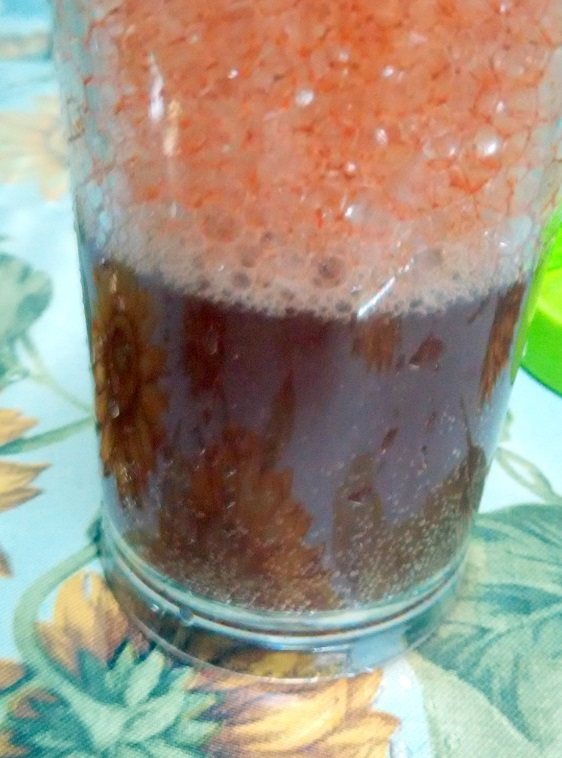 It becomes a reddish colour effervescent mixture. 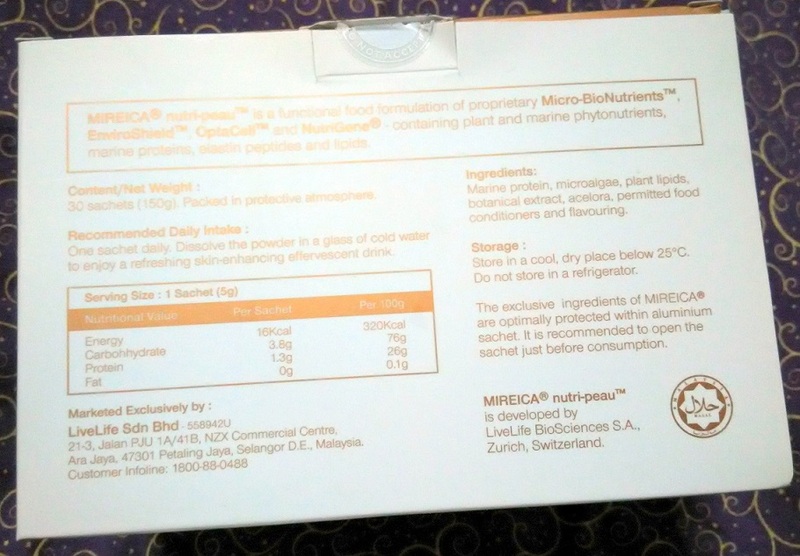 To be honest, it had a fishy smell which I hated, and I had some difficulty drinking it in the first couple of days but I got used to it because of all the benefits my body and skin are deriving from it. 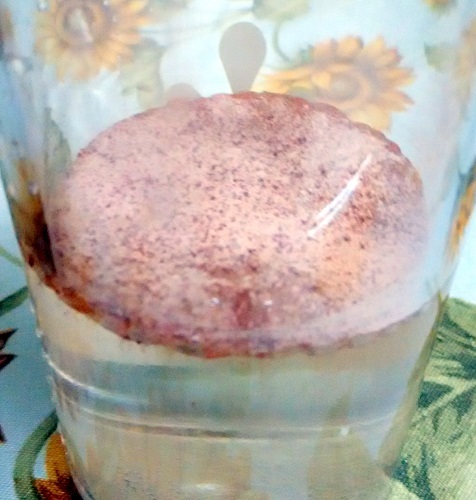 The smell is just about the same like the cod liver oil syrup my daughter consumes, it taste very much like berry juice with just a hint of sweetness. After consuming it for a week there was not much of a difference but I think it was after the second or third week when I started feeling much more rejuvenated as well as my complexion certainly improved. 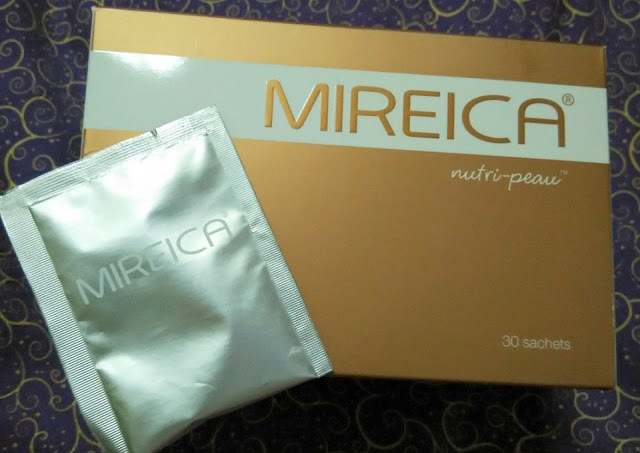 Mireica contains OptaCell a skin hydration booster that restores optimal barrier function and water-retaining properties which can help to retain my skin hydration level. It also contains NutriGene® ,other wise known as our skin blueprints, that stimulates self renewing capacity of our skin stem cells against DNA damage, UV and oxidative stress; EnviroShield™ which gives our skin a defense shield against exterior stressors as well as help with regulating melanin production, pigmentation and age spots and last but not least Micro-BioNutrients™ which are skin building blocks to stimulate the biosynthesis of skin collagen, skin elastin, intercellular matrix and intracellular lipids thus improving skin elasticity, firmness, smoothness and tone…This helps in significantly reducing the appearance of fine lines and wrinkles. For Muslim consumers like myself, you do not have to worry as Mireica is Halal. 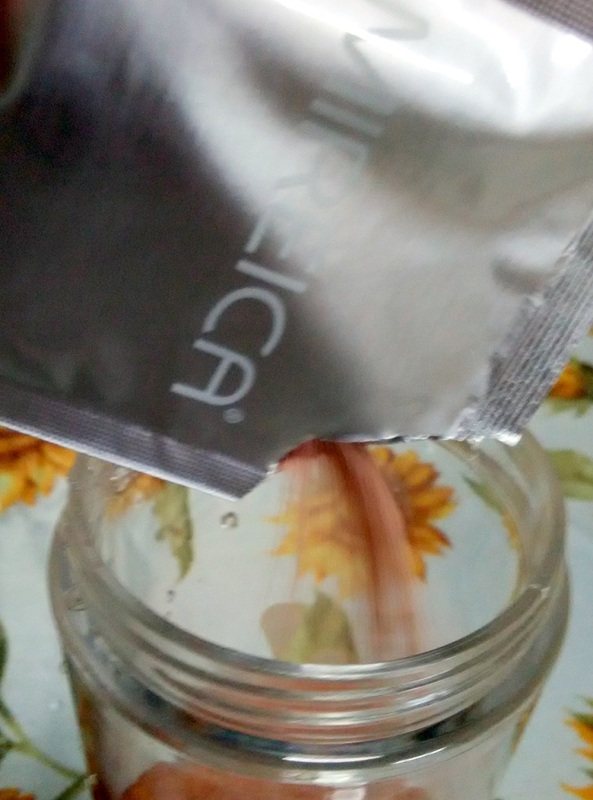 How to use: Mireica is best consumed on an empty stomach in the morning or before bedtime. 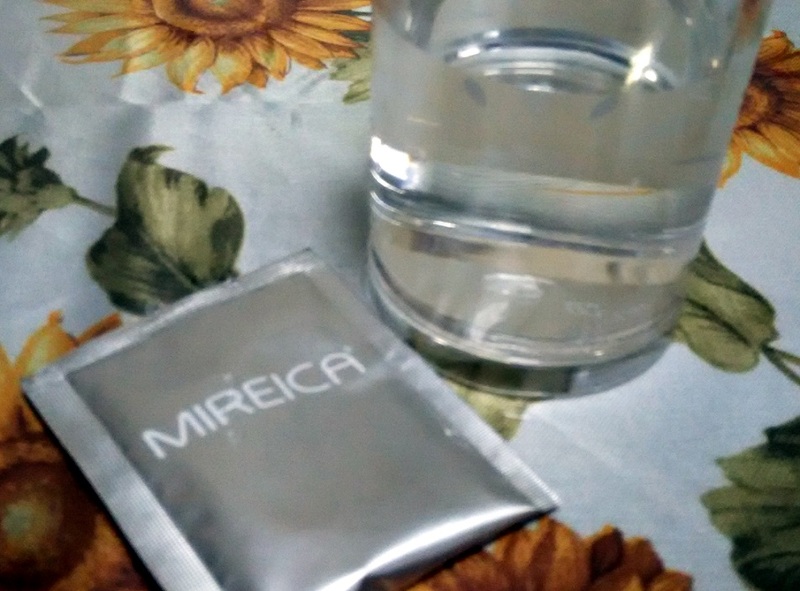 Just pour a sachet of Mireica into a glass and add cold or room temperature water; best with cold water. The effervescent powder will dissolve and drink immediately. I agree.... it's a great product but got to keep consuming I guess for the best results..
wow this product... mcm I heard of it. Tried this before and I love the flavour a lot. I have some improvement on the skin also. This works really well on my skin. U looks prettier now after drinking it. Can see a big different. Really good. 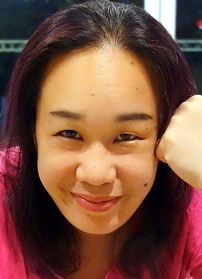 I am looking for one product for my skin too, maybe can try this. Wow no wonder your face is glowing nowadays! I haven't gotten the time to use my box yet but now I am looking forward! MIERA! Is this your secret to looking forever young? hehe. Thanks for sharing the secret! Have always known that just topical application is not enough but have never found suitable oral supplement. Your skin looks so pretty and healthy wor! I love how this healthy supplement for our body! Would love to try if I have chance! Didn't know stem cells can be useful for facial perfection too, always thought collagen is like the best there is. Shows how little I know. Are there any side effect from consuming supplements like these? Look like a great to start looking perfect from inside but haven't tried any such thing. ahh your skin looks so baby smooth and pretty as always. age is just a number!